Progressive offers a complete line of Water Softening and industrial ion exchange products to meet the needs of each individual client. 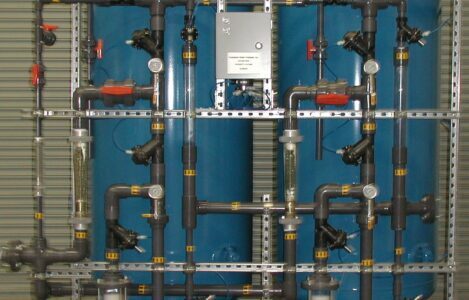 Ion exchange options include softening, two-bed, mixed-bed, packed-bed (to 200 GPM/train), ion specific removal systems (i.e., nitrate, arsenic, etc. ), electrodeionization (EDI), and non-regenerable units. All systems are custom design/build equipment. In every case, the customer’s requirements and preferences are considered prior to any design. SERIES: WS – 1” Through 6” IPC 20” Through 120” Diameter (Click to download all models and sizes).